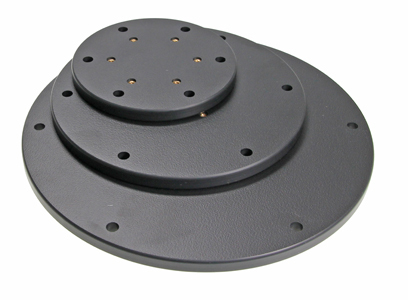 Pedestal mount mounting plate for round base/top parts. 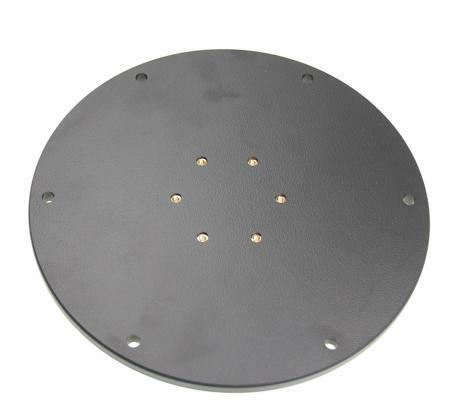 Diameter: 200 mm. Thickness: 9 mm. Includes 6 screws, 1 Allen key. Black.